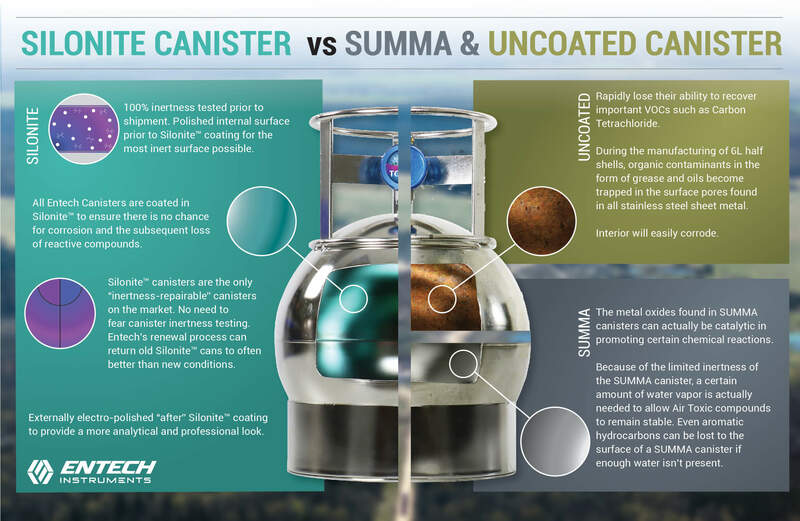 The Lessons Learned from SUMMA® (Nickel Chromium Oxide) and SiloniteTM (Ceramic) Canister Passivation Coating Technologies. 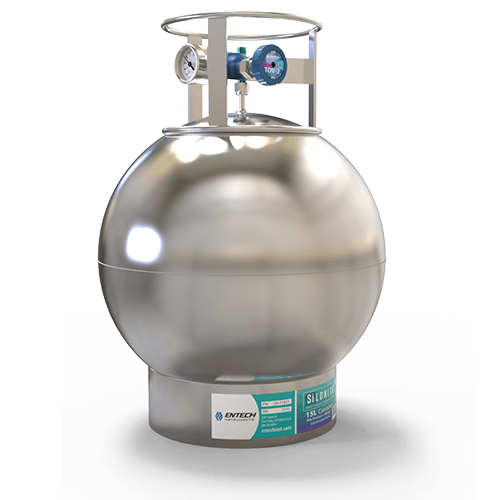 Sampling into stainless steel canisters was first conducted to measure freons in the atmosphere to help scientists determine which compounds were responsible for the depletion of the ozone layer. 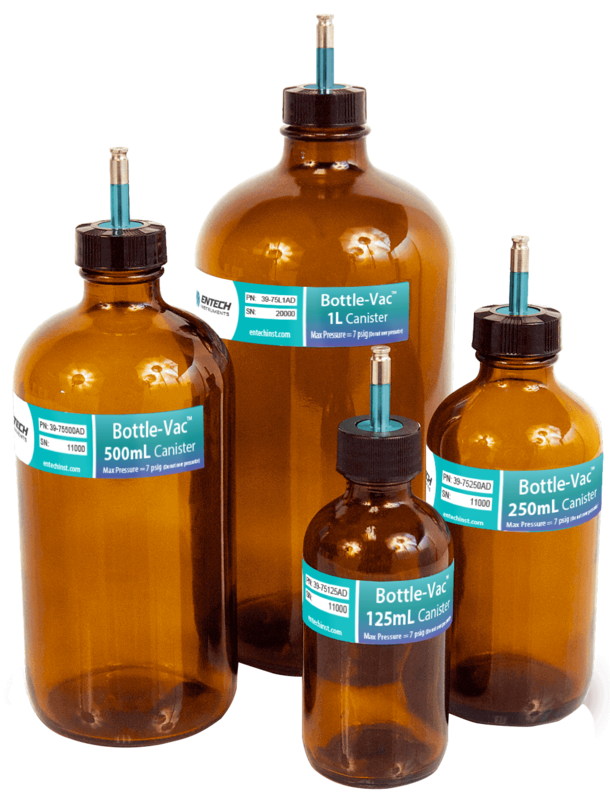 In 1982, the EPA Compendium of Methods for the Determination of VOCs in Ambient Air first appeared which specified the use of SUMMA® passivated canisters for collecting air samples to measure levels of 40 solvents and aromatics. SUMMA® canisters were coated with a Nickel Chromium Oxide (NiCrOx) layer using a liquid deposition bath process that effectively covered the corrosion susceptible 304 stainless steel. Stainless steel features a chemical composition of 70% iron – a very reactive and catalytic metal. The NiCrOx coating of 500-1000 angstroms prevented exposure to iron and was thick enough to prevent future exposure after years of corrosion / oxidation through sampling of moisture, ozone, NOx, oxygen, and other oxidizing compounds found in ambient air. SUMMA® NiCrOx coating is generally effective for TO-15 compound recovery at relative humidities of > 40%. SUMMA® manufacturing challenges: The NiCrOx canister coating quality is subject to bath degradation from increased levels of iron released from previous canisters. In addition, glycols used in the bath are difficult to completely remove from the surface, creating aldehyde and alkene breakdown products to appear over time. Later in the 1990’s, both the EPA and various agencies/investigators worked to increase the range of compounds that could be recovered from canisters. During this time, Entech Instruments, Inc. developed and introduced SiloniteTM – using a different kind of ceramic to prevent exposure to the iron comprising the majority of 304SS. After electropolishing, the additional SiloniteTM chemical vapor deposition process yielded an even more consistent and inert coating layer than was possible with the SUMMA® approach. Similar to SUMMA® passivation layer, this coating was typically over 500 angstroms thick to prevent any contact or corrosion of the underlying iron. SiloniteTM ceramic coating is inert and durable, enabling the complete recovery and storage of an extended range of compounds. 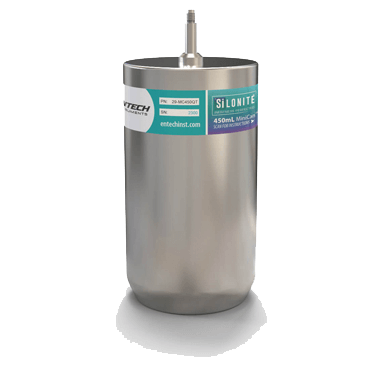 SiloniteTM also greatly improves canister reliability and lifespan in the field. In order to lower the cost of production, many canister manufacturers started to promote uncoated canisters that were ONLY electropolished and acid passivated to remove the surface iron. Unfortunately, this process did not include a coating layer to prevent future exposure to iron and subsequent corrosion / oxidation – after these canisters were placed into field service. Sometimes referred to as “SUMMA-Like” canisters, these uncoated metal canisters can show relatively good performance until they are exposed to ozone, moisture, and oxidants in ambient air, which results in a breakdown of this barrier via a few different mechanisms. As the internal polished surface degrades, the holding time data reveals that uncoated canisters can begin to show significant compound losses and reactions in as little as 6-12 months of field sampling use. This process ultimately renders these canisters inadequate for the analytical demands of EPA TO-14A and TO-15. Surface breakdown mechanisms: Considering the small size of a water molecule, an oxygen molecule, and singlet oxygen as ozone breaks down, a thin 5-10 angstrom zone is simply not thick enough to keep these corrosion and oxidation promoting species from reaching the reduced metal surface of the 304SS canister. As oxidation and corrosion occurs, the canister surface begins to expand with the incorporation of both oxygen and hydroxyl group (–OH), causing surface bulging and cracking, leading to enhanced exposure to the iron below. This unrelenting process can cause rapid conversion of uncoated canisters that initially work reasonably well for TO-14A and TO-15 compounds when new and later renders them ineffective for even a 1 week storage of many important TO Method compounds. Water is at a lower energy state when there are dissolved ions present. In fact, what is referred to as 18-megohm water (ultra pure de-ionized water) is rather corrosive when placed in contact with metal surfaces – at least until a small amount of the metal surface transfers into the water. This same kind of corrosion and stripping of the surface effect can certainly occur in air sampling canisters. Unfortunately, a condition exists when collecting high humidity samples – especially during the Summer months – which causes excess water to be collected. This additional water condenses onto the sides and eventually drips down into the bottom of the canister. In uncoated canisters, this process strips a small amount of the metal/metal oxide surface away. Subject to this mechanism occurring only once per sampling, even an uncoated canister may give a few years of effective use. However, most laboratories store canisters in non-temperature regulated space, and the temperature during shipping is anything but regulated. The potential daily cycling of temperatures from high to low to high again causes repeated evaporation, condensation, stripping, and re-evaporation – even after just a single sampling event. This accelerates the aging process, causing irreversible damage to an uncoated canister in months rather than years as illustrated in Figure 1. Alas, once exposure to the underlying iron surface has occurred, there are no effective ways to return an uncoated canister to useful operation that would meet the expectations of EPA TO-14A or TO-15 Methods. Insist on a coated canister to ensure the best possible canister inertness, corrosion resistance, and reliable sample storage for EPA TO-14a and TO-15 Compounds.